In his 83 years on Earth, David Pearson lived a life that few even dare to dream of. He was immensely talented as a race car driver, and as cool and handsome as any movie star. His rise from a life in a textile mill village in Whitney, S.C., to NASCAR stardom was an inspiration to generations of working folk. Pearson, who died Monday, Nov. 12, was known as the “Silver Fox” for his cunning style and ability to outwit his fellow drivers on the track – and for his graying hair. Off the track, his wry sense of humor endeared him to those around him. His confidence in his abilities was apparent although he never bragged. As he liked to say, he did his racing on the track, not in the media center. To many in NASCAR, then and now, he was the best driver ever. Pearson’s best days came in Fords and the No. 21 Mercury fielded by the Wood Brothers of Stuart, Va. 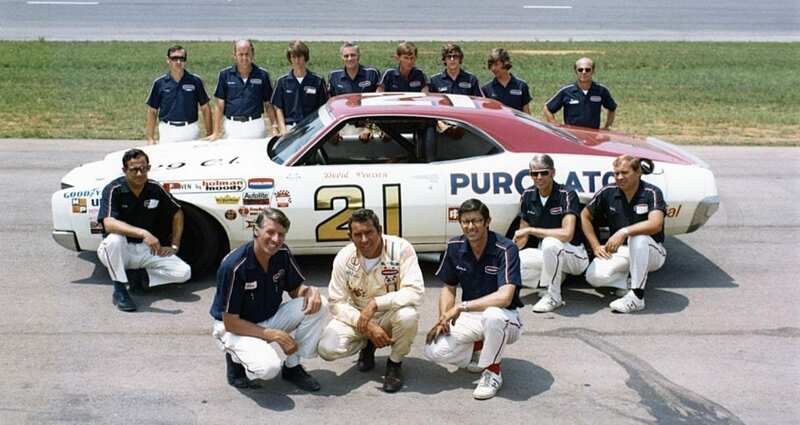 Team founder Glen Wood, said Pearson is largely responsible for his family company being the oldest continuously operating NASCAR team. In the years since 1986, when he ran his final race in the NASCAR series now known as Monster Energy Cup, Pearson’s reputation as one of the true heroes of the sport has grown and likely will continue to expand as the years go by. Drivers of today readily acknowledge that they’re standing on the shoulders of NASCAR Hall of Fame legends like Pearson and Richard Petty, the duo that led the way as NASCAR grew into a mainstream sport. Pearson amassed statistics to back up those who proclaim his greatness – 105 wins in the NASCAR series now known as Monster Energy Cup, 113 poles and three championships in the three seasons he ran for the title, all in just 574 career starts. Pearson accumulated 43 of those wins while driving for the Wood Brothers. He joined the team in 1972 at the age of 37. The magic was there from the beginning. In their first race, at Darlington, Pearson won the pole and the race. They went on to win five more times that season, and running a limited schedule focusing on the sport’s major races, they dominated the 1970s. Pearson’s triumphs included the sport’s biggest races – the Daytona 500, Southern 500 and World 600. And no team since has come close to matching their 11 consecutive poles at Charlotte or their 11 major wins in 18 starts in 1973 or their 10 majors in 22 races in 1976. Their back-and-forth battles with Richard Petty and his No. 43 team were legendary in themselves. The two finished 1-2 on 63 occasions with Pearson prevailing in 33 of them. Pearson’s win over Petty in the 1976 Daytona 500, where they both wrecked off turn four on the final lap but Pearson kept his car running and limped across the finish line to victory, remains one of NASCAR’s most exciting finishes of all time. 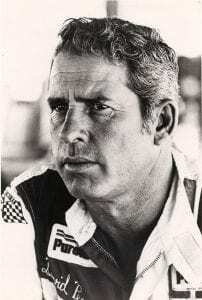 Len Wood said that Daytona finish, and others like it illustrate just what kind of a driver David Pearson was. Wood pointed out that Pearson prevailed in 1976 at Daytona because he had the presence of mind to depress his clutch as he was spinning, which kept his engine running. Eddie Wood, who was the lone voice on the radio for that race and most others in the 1970s, said the final lap of that race is his favorite moment in motorsports. “The way things played out, how cool David was, and the things that were said on the radio were as good as it gets,” he said. Then there was the 1974 Firecracker 400, where Pearson deliberately slowed on the last lap, allowing Petty to pass him, which ended up putting Pearson in an advantageous drafting position coming back to the checkered flag. Eddie Wood said Pearson never let the excitement of the moment get to him. Leonard Wood, who was crew chief of the No. 21 in the Pearson era, said Pearson’s skills simplified his job. And once Wood got the set-up perfected, the rest of his job was easy too. Wood said his family and Pearson had a unique relationship with the Pettys, even as they battled each other for wins on the track. In the years since Pearson retired, Eddie and Len Wood have been regular visitors to Pearson’s home in Spartanburg. A couple of years ago, they and their uncle Leonard brought along the 1971 Mercury that Pearson drove. They unloaded the car several blocks from Pearson’s home. Eddie and Len went on ahead. Leonard arrived a few minutes later driving the car, its original racing engine rumbling through the neighborhood. Eddie Wood said he drove over to the team’s museum in Stuart after learning of Pearson’s death.